We love tahona-made tequilas because they generally have more delicate flavors, and this one is particularly delicious. A tahona is a large stone wheel that crushes cooked agave fibers to release the sugars needed for fermentation. It is an old-school process that is slow, but the results speak for themselves. 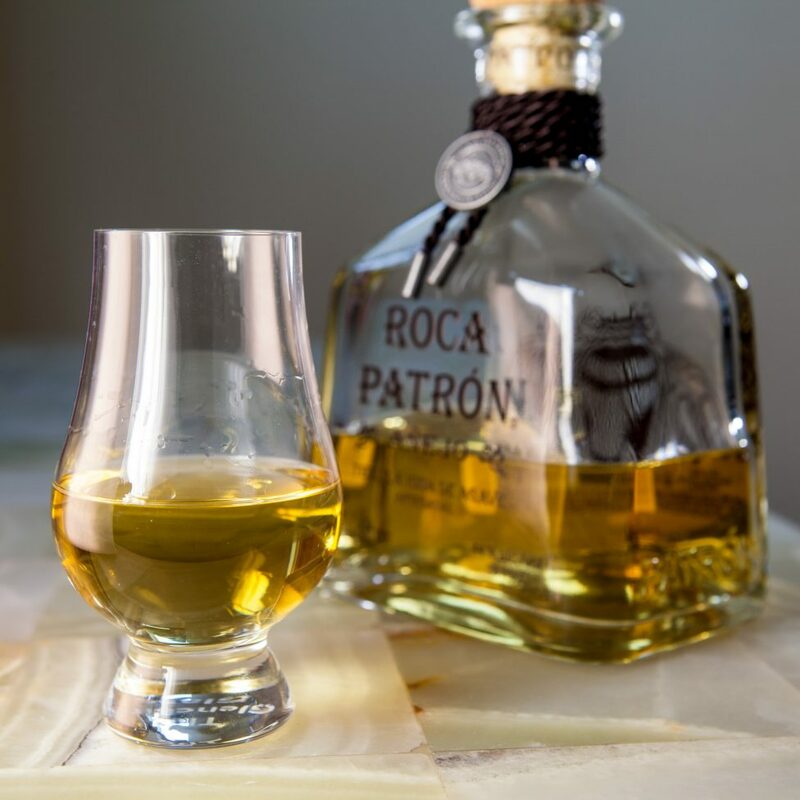 Roca Patron Añejo has a permanent spot on our home bar because, although it is aged in used bourbon barrels, it still retains plenty of baked agave aromas and flavors. But it doesn’t stop there. You will also find vanilla, oak, honey, caramel, raisin, and butter. The agaves are cooked in brick ovens. The resulting juice is fermented slowly in wood tanks, and then distilled twice in small copper pot stills. This product has a slightly higher alcohol content than normal 80-proof tequilas (44% abv, or 88-proof), which means it has less water and more flavor. What’s not to love about this artisanal process?! Because it is a product made by Patron we can usually find it easily in bars and restaurants. If you haven’t tried this yet, you should treat yourself with a taste of it this weekend. That’s exactly what we will be doing, all weekend long! We’d love to know what you think. Rate it using the Tequila Matchmaker app!